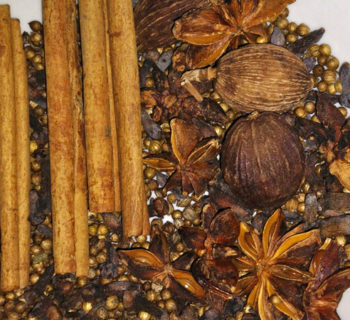 I have a couple of polls running on this site for some time now. It's time to take a closer look. If you haven't done so, just click on "Vote" link below the poll results to add your 2 cents. About 10% go three or more times per week. How many of them are new customers and how many are repeat customers? Of the new customers, how do you turn them into the someone who'll come back at least once a week, thus increasing the 32%? Of the returning customers, how do you maintain their loyalties and then influence their decision to visit you even more often? 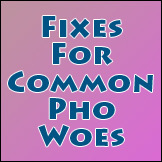 Eighty percent (80%) frequent 1 to 3 pho restaurants all the time. Twenty percent (20%) still haven't found their fav pho restaurants yet. This one is simple to understand but also carries some very important hidden messages. 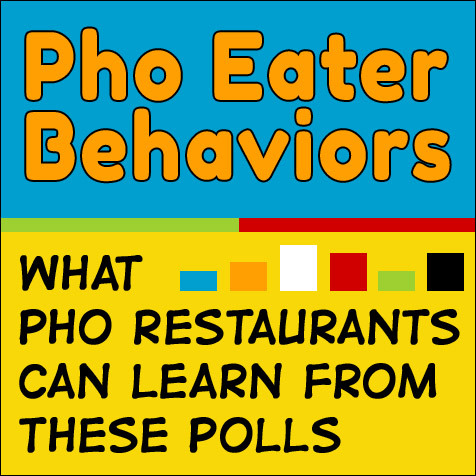 The poll seems to indicate that, for a given market, 80% of pho eaters prefer to frequent a very small numbers of good pho restaurants (1 to 3 or maybe more if you're in a huge metro area like Los Angeles, New York, San Jose, etc.). The rest (20%) are still looking for their 1-3 favorite places. 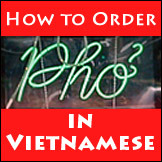 Am I one of those 1 to 3 pho restaurants that 80% of pho eaters prefer to frequent? If I am in this top group, do I maintain continuous effort to make sure I stay in this group and possibly get to top of the group, or maybe even create my own new group? 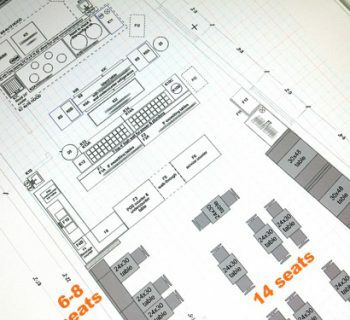 If I am not in this top group, then do I know what's keeping my pho restaurant from joining the group, or do I even have the desire to play in that league? 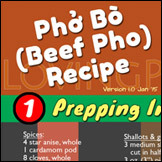 Regardless of market size, pho addicts (um... 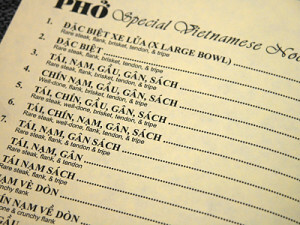 I mean good customers) prefer to go to only a few really good pho places. It's to your benefits to be one of these places. Snowball effects or indirect positive side effects: higher food turnover/served (higher freshness and lower inventory levels), lower employee/labor cost (high efficiency and always busy labor force), satisfied customers (resulting in free word-of-mouth advertising, lower marketing cost as already mentioned, etc. ), plus many more. Snowball effects in the negative direction, including low staff morale and high labor cost (high turnover, high cost to constantly hire and train replacements, low or no customer service, etc. ), lower food quality (thus lower sales resulting in high inventory, high food cost, etc. ), low or no word-of-mouth benefits, among many others. 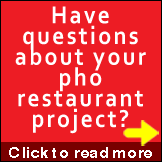 To find out how I can help you open your own pho restaurant, or improve your existing operation, please use the form on the Pho Restaurant Consultation page.